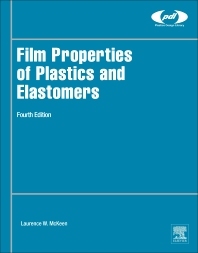 Film Properties of Plastics and Elastomers, Fourth Edition is the only data handbook available on the engineering properties of commercial polymeric films. It details many physical, mechanical, optical, electrical and permeation properties within the context of specific test parameters, providing a ready reference for comparing materials in both the same and different families. Data is presented on the characteristics of major plastic and elastomer packaging materials, with the data in this edition updated to cover the five years since the previous edition was published. The resin chapters each contain textual summary information, including category, general description, processing methods, applications, reliability, weatherability, and regulatory approval considerations for use in food and medical packaging.